When I was moving to Japan in 2011, I was in charge of taking care of our apartment. That meant I have to do all the cleaning, laundry, cooking and so on. In the beginning it was kind of difficult to adjust to the Japanese style of how to wash clothes (using only cold water) or how to wash the dishes. Everything seemed to be so different than in my home country. One topic which always kept me worried was how to best clean the bathroom area. Japanese style bathrooms are one small room with a bathtub and the area next to it for cleaning your body. If you are taking shower or a bath usually the whole room is getting very wet (including the ceiling and all walls). Most of the bathrooms have a ventilation system or at least a window to dry the room after using. But still, you can find very soon in every corner some mold, which comes from all the humidity. This mold looks of course very dirty and is also not good for the health, that's why I was looking for something to easily get rid of the mold. 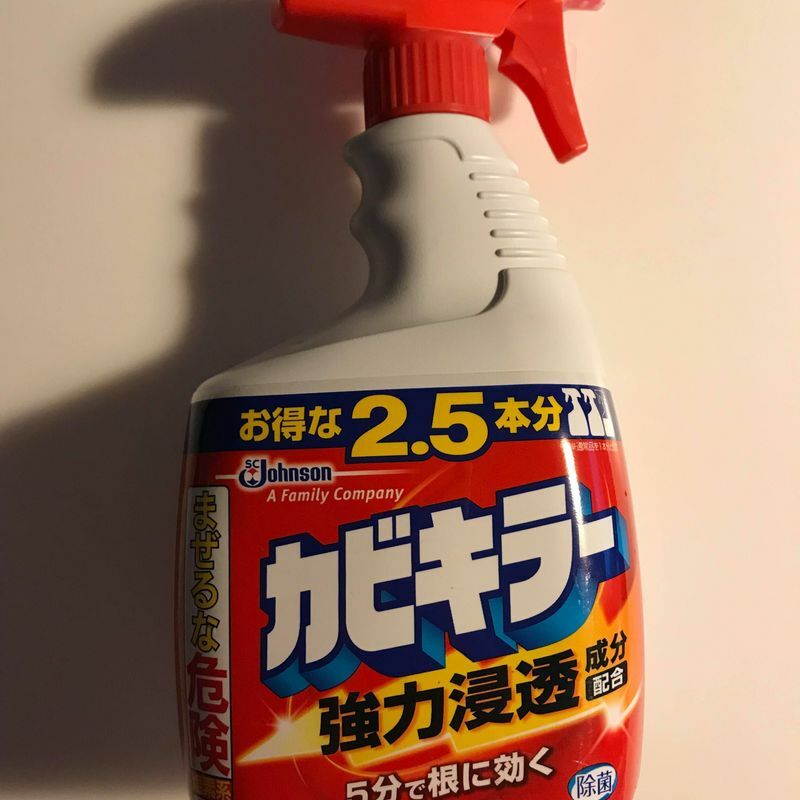 The most popular product for fighting against the mold is "Kabikira" (カビキラー) or just "mold remover." 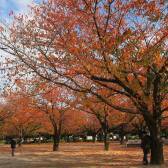 You can find that product in every drugstore, supermarket or home center in Japan. It comes in different versions (like for cleaning the washing machine), but the best is of course the plain version. 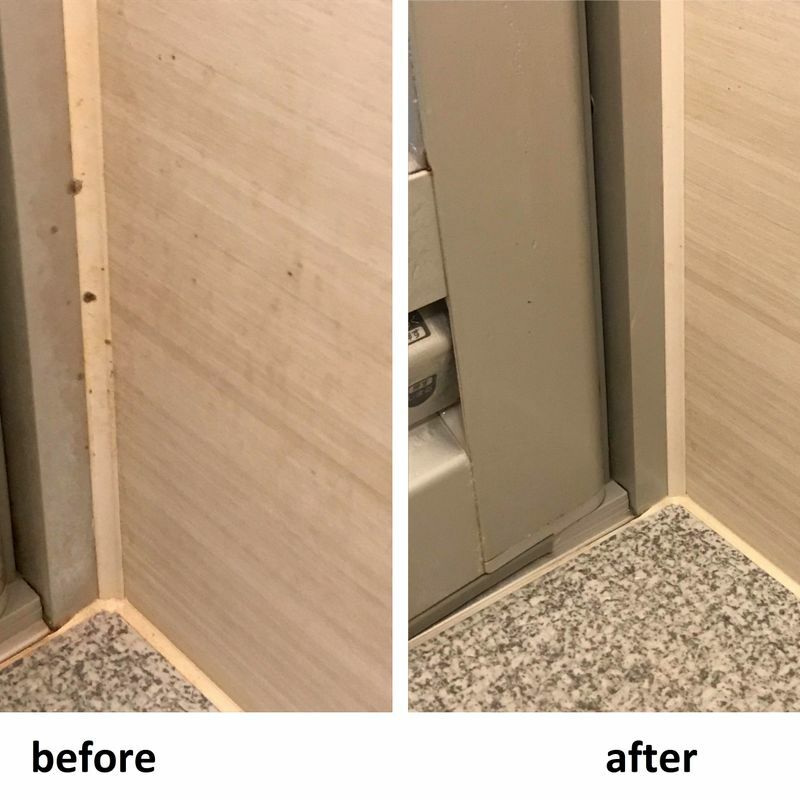 Kabikira can be used for every kind of mold problem in the bathroom or kitchen area. It is perfect for rubber seals such as on walls, tiles, mats, shower curtains, doors and so on. It can not be used for sand walls, fiber walls, plaster, padded walls, decorative steel plate walls of the unit bath (the type with magnet), metallic products such as enamel, aluminum, brassiere (causes rust), wooden products, bristle brushes, and brushes. Kabikira is also very good at getting rid of old coffee stains in cups or if some plates got dirty after many years of using. 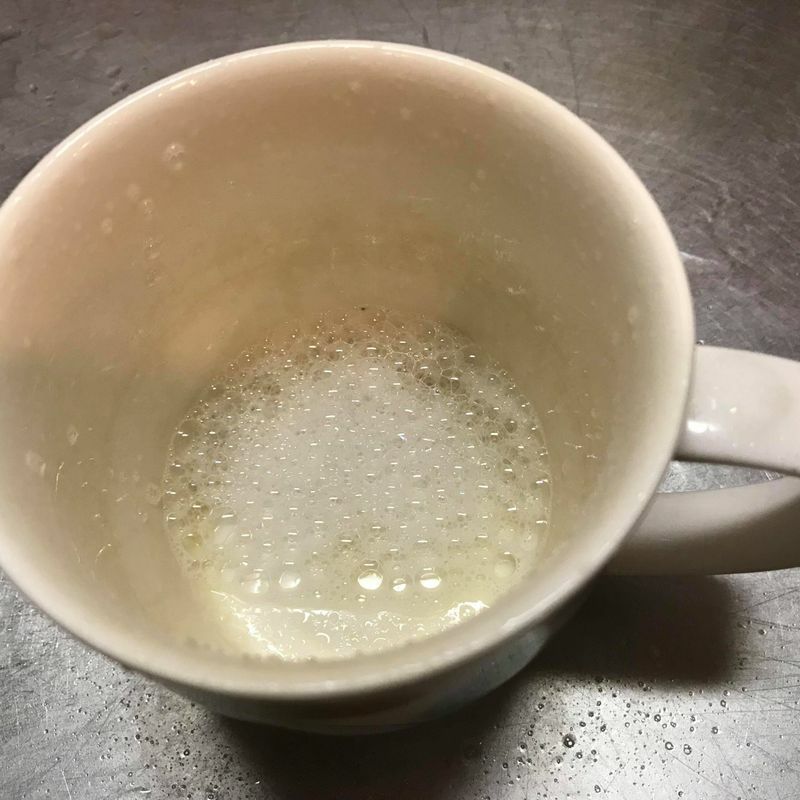 You should be sure to clean cups very well after using the mould remover. Spray the mold remover on the moldy spot and wait for around 15 minutes. After that, clean the spot with water. If there is still some mold left, you can easily wipe it away. Make sure that the liquid does not get in your eyes or mouth. Do not use it for applications. Pay attention to clothing and carpets as Kabikira will cause discoloration, that's why it's better to watch out that you will not get in contact with the spray. If you are careful while using Kabikira, you will see that this is a perfect cleaning product for your bathroom and kitchen. A better way is to use hydrogen peroxide (オキシドール) in a spray bottle every once in a while. It is not nearly as harsh as the kabikira and once it’s exposed to air it eventually becomes harmless.